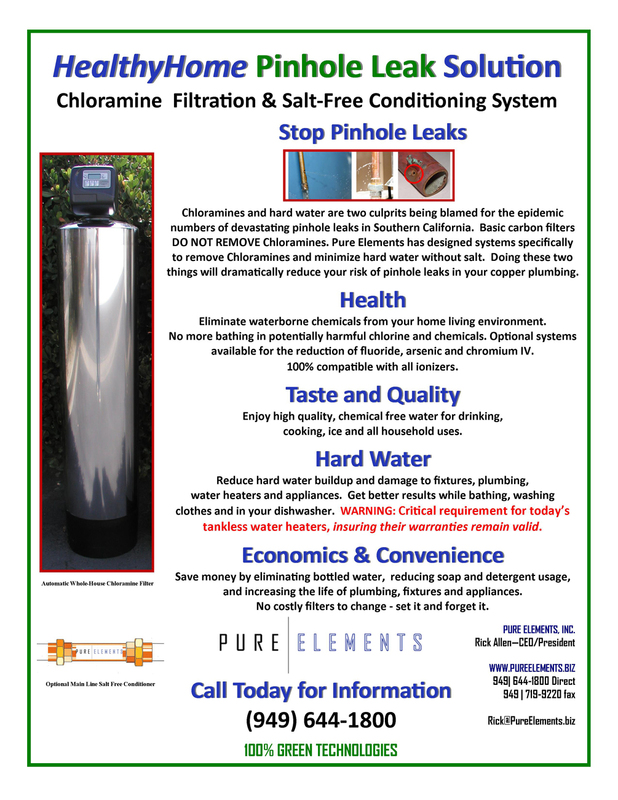 Problems Caused by Hard Water in Orange County CA Cities - Pure Elements Water, LLC. 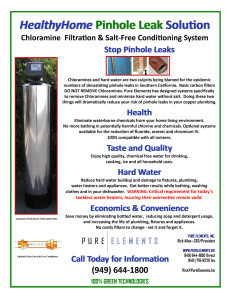 "Custom Whole House Water Filters"
Problems caused by hard water in Orange County CA are a pain. Hard water is caused when dissolved calcium and magnesium separate from the water as scale. Scale builds up on the insides of pipes, water heaters, teakettles, coffeemakers and industrial machinery and clogs them. Scale reduces flow through pipes and is a poor conductor of heat. Eventually pipes will become completely clogged and a home must be re-piped. This is expensive. Hard water also reduces soap’s ability to lather whether in the shower, sink, dishwasher, or washing machine and reacts with soap to form a sticky scum. Yuck. 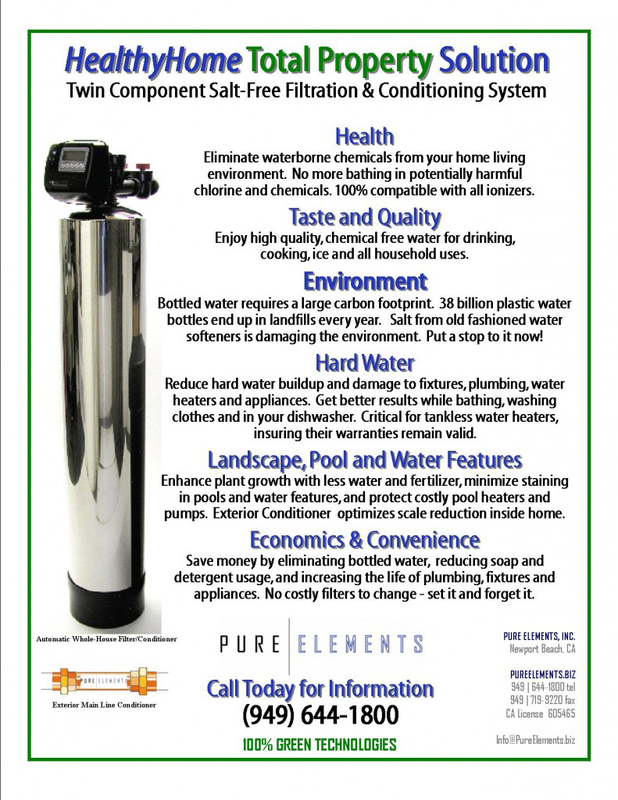 You can combat hard water in various ways including filtering it by distillation or adding a reverse osmosis system. You can try adding a packaged chemical softener such as powdered borax or washing soda (sodium carbonate) and running it through a water softener. Or cut the hassle and choose a salt free water conditioner. Consumer Reports comments that in order to soften water a process called “ion exchange” is performed to remove dissolved minerals – like iron, magnesium, calcium, and manganese. These cannot be trapped in a softener bed. Water softeners have resin beads with sodium attached to the resin. As water enters the tank, dissolved magnesium and calcium ions are attracted to the resin. The minerals attach to the resin pulling them from the water and releasing sodium into the water at higher levels than the hard water minerals it removed. Salt-free water conditioning provides a proven alternative without the problems of sodium (salt) being added to the water. In sink tap filtration and refrigerator water dispensers improve water’s taste but its steep price tag makes it impractical as a household solution because the filters must be replaced constantly in order to be effective. Packaged chemicals can soften water in small batches such as washing machine loads but render the water undrinkable. Plus they take a toll on clothes and in some cases contain phosphates that harm the environment. 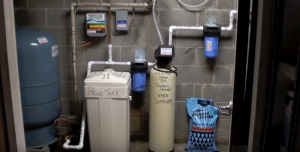 Salt-based water softeners are also bad for the environment and planet. Salt-free water conditioners are an effective an alternative to water softeners. 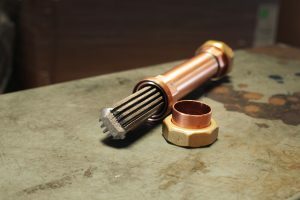 Descaling offers an alternative to water softening. 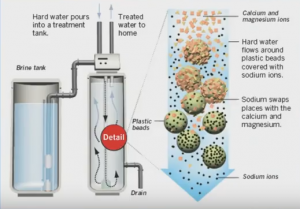 Whereas a water softener removes the problem (minerals in the water), a de-scaler addresses the damage caused by the problem (scale buildup). You will sometimes see ads for “salt-free water softeners” which are actually de-scalers or for magnetic water softeners which remain unproven and don’t change the chemical composition of water so buyer beware. While magnets are controversial and inconsistent, catalytic water conditioning has been proven for 60 years. Conditioning offers benefits of scale reduction and reduces hard water problems. With all this in mind, it is clear why water softeners are so popular. They appear to be the least costly and an effective way to rid your water of the troublesome minerals that cause hard water. However, this is true in some but not all cases. Many times salt free water conditioning is a better choice because there are no foreign chemicals added to the household water. There is no slippery slimy feeling characteristic where you cannot rinse the soap off, and the healthful calcium is maintained in drinking water. Water softeners operate on a simple principle. Calcium and magnesium ions in the water switch places with more desirable ions usually sodium. The exchange eliminates both of the problems of hard water because sodium does not precipitate out in pipes or react badly with soap. The amount of sodium this process adds to your water is quite small — less than 12.5 milligrams per 8-ounce (237-milliliter) glass. That is well below the standard set by the Food and Drug Administration for “very low sodium.” However, if you have health concerns discuss them with your doctor or consider using softened tap water only for washing clothes and dishes. Salt free catalytic water conditioning is the best choice for anyone on a low or no sodium diet, who is concerned about hypertension, high blood pressure or other health concerns. The ion replacement takes place within a tank full of small polystyrene beads also known as resin or zeolite. The negatively charged beads are bonded to positively charged sodium ions. As the water flows past the beads, the sodium ions swap places with the calcium and magnesium ions, which carry a stronger positive charge. During the catalytic salt-free conditioning process, minerals are permanently changed to reduce the problems caused by raw hard water. There are no foreign chemicals or salt added to the water in the process. Cleaner dishes: Dishes glassware and silverware washed in soft water come out spot free and sparkling. 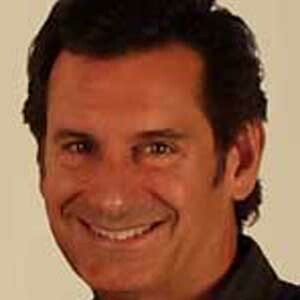 Softer hair and skin: Hair feels silkier and soaps and shampoo lather more easily. Salt-free water conditioning will provide a better bathing experience without the slippery slimy feeling caused by salt-based water softeners. Whole house water filtration also helps with healthier hair and skin by removing disinfectants, chemicals and drying agents that can irritate skin, make hair dry, brittle, and unmanageable. Whiter whites and brighter colors: Clothes washed in soft or conditioned water are free of hard water minerals that result in dingy buildup over time. Fabrics come out softer and stay brighter. Longer lasting appliances: Water softeners and salt free water conditioners can help preserve the life of appliances by reducing hard water buildup in coffee makers washing machines water heaters and more. Less housework: Water softeners remove the minerals responsible for lime scale buildup and soap scum on shower walls bathroom fixtures and kitchen sinks. 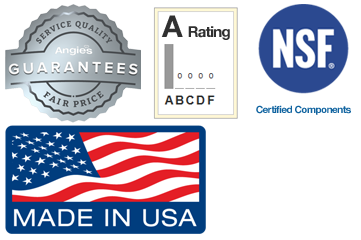 Salt free water conditioners also provide these benefits, without the added sodium.